After detailing the Guangzhou Auto Show 2017 in 20 Highlights and 150 Pictures, it’s now time to explore Guangzhou’s car landscape, with a little excursion in Huangge, a southeastern suburb of Guangzhou, and count the differences with the first time we explored Guangzhou in 2015. Most of the elements we observed two years ago in Guangzhou are still valid today: among them the supremacy of Japanese carmakers assembling locally such as Honda, Toyota and Nissan, the weakness of Volkswagen and Chinese carmakers in general, especially in the centre of town: 87% of cars observed in Guangzhou’s Zhujiang New Town are foreign (sample 112), vs. 72% in Huangge in the suburbs (sample 40). 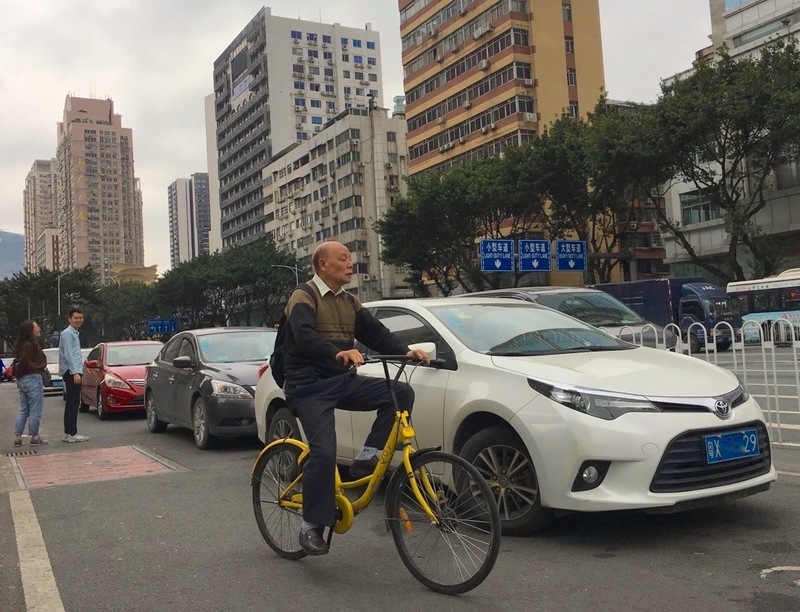 Taxis however remain the same: Hyundai Sonata and Elantra from a few generations ago, still assembled in China by the Korean carmaker exclusively for such fleet sales. What is the most popular nameplate in Guangzhou? Based on my observations in the street, it’s a tight race between the Honda Vezel, Nissan Sylphy and Toyota Levin (the Levin being GAC-Toyota’s equivalent to FAW Toyota’s Corolla). 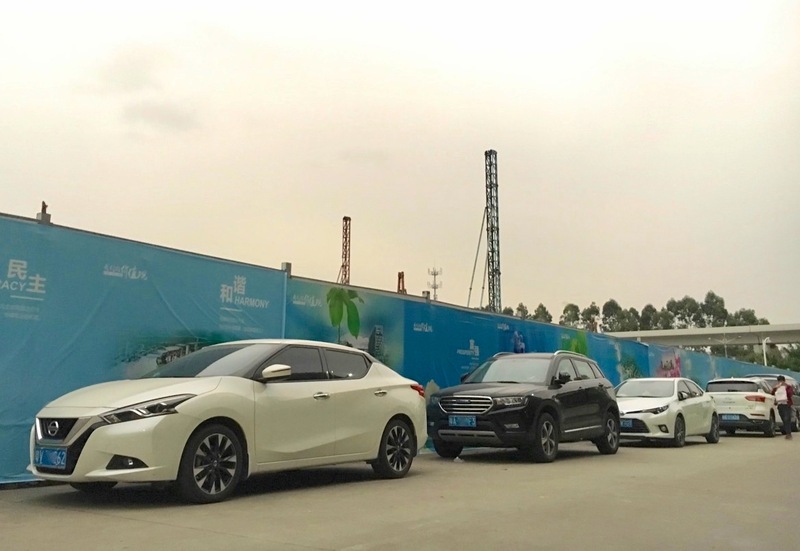 Coming close to these four is the most popular Chinese fare locally, the GAC Trumpchi GS4, confirming its stunning career nationally. The GS4’s presence on Guangzhou streets is logical given its success nationally, but I was also able to confirm the popularity of the larger GS8, already very frequent here. No GS3 yet though. 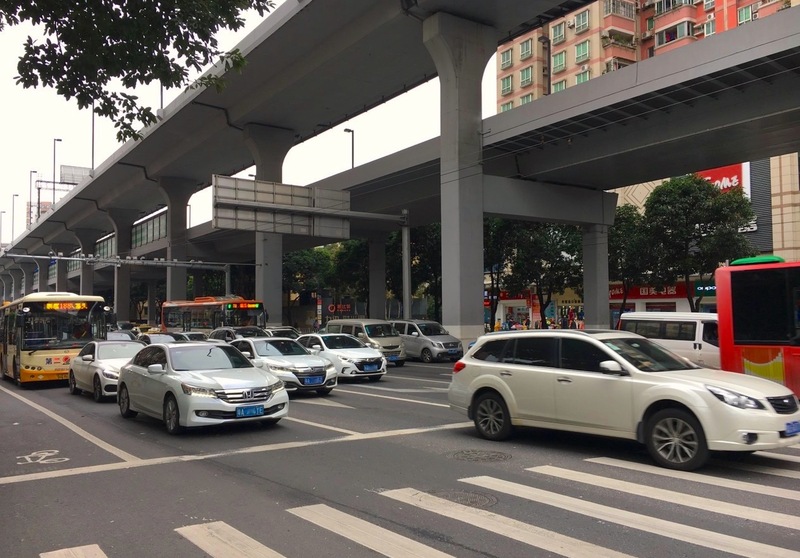 Among other successful Chinese marques in town, Baojun, Wuling and BYD stand out, but before we get to this we must tackle the one big difference between 2017 and 2015: the presence of electric cars on the streets of Guangzhou. 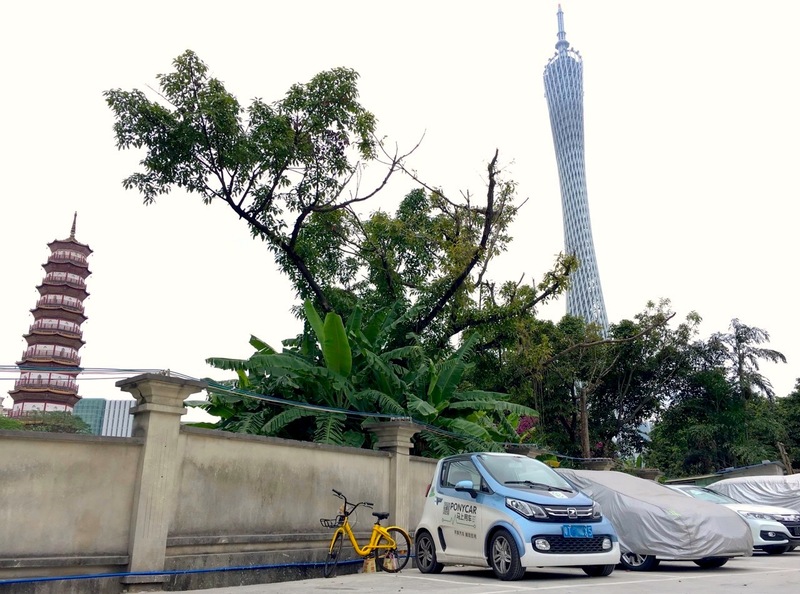 Completely absent from the landscape two years ago, electric cars are making their way into Guangzhou’s streets in a significant manner, thanks to such facilities as a large charging station just next to the Canton Tower for example. 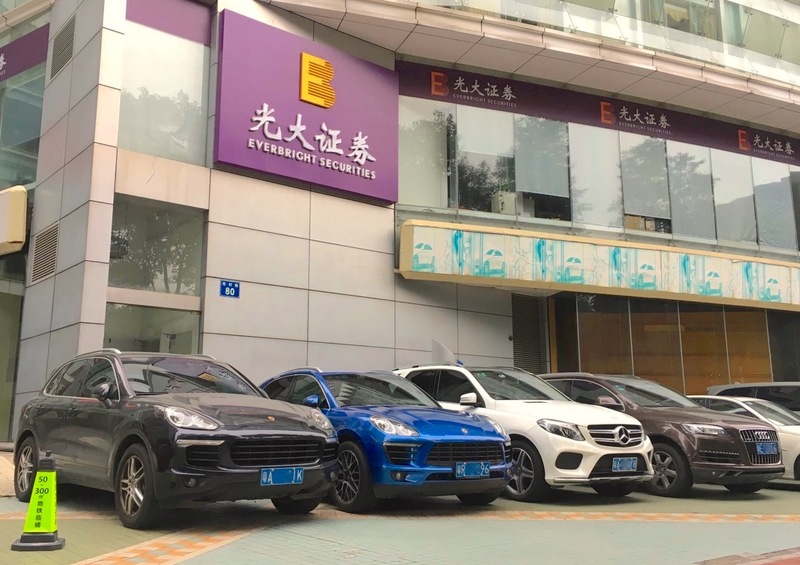 They seem to be mainly successful as part of car-sharing schemes: the Zotye E200 appeared under the Ponycar program, the Geely Emgrand EC7 EV under Caocao and the Zhi Dou D2 under DD. 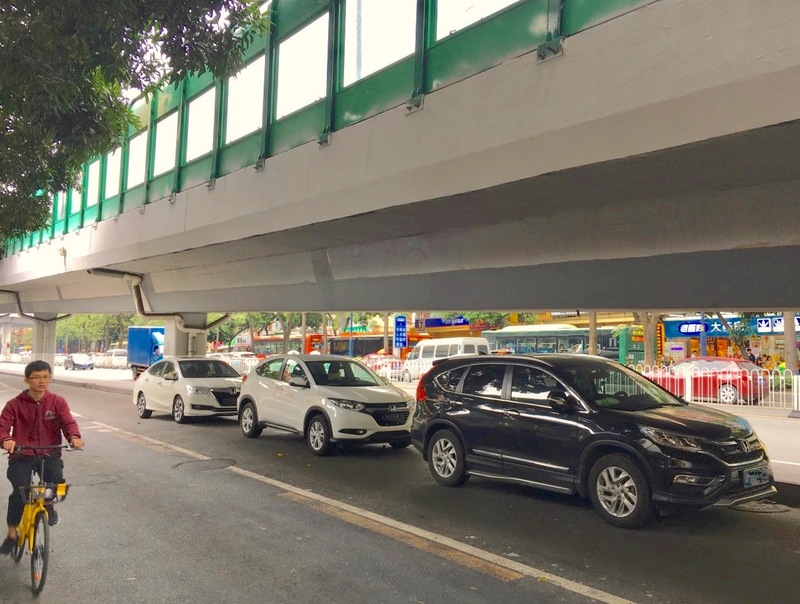 Far from being left alone, the charging stations and share cars looked to be well used and Guangzhou inhabitants already used to using them. A very interesting and significant mindset change at play here. Also of note are three Tesla Model X and two Model S spotted in town. 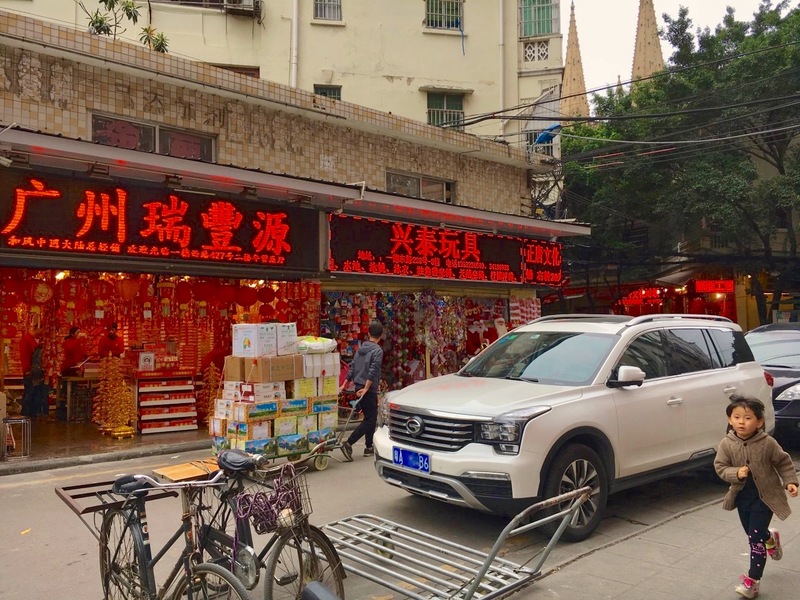 The first Baojun surprise in Guangzhou is the frequency of the 730 MPV: I saw more of them than national four year best-seller the Wuling Hongguang, extremely popular in the countryside. 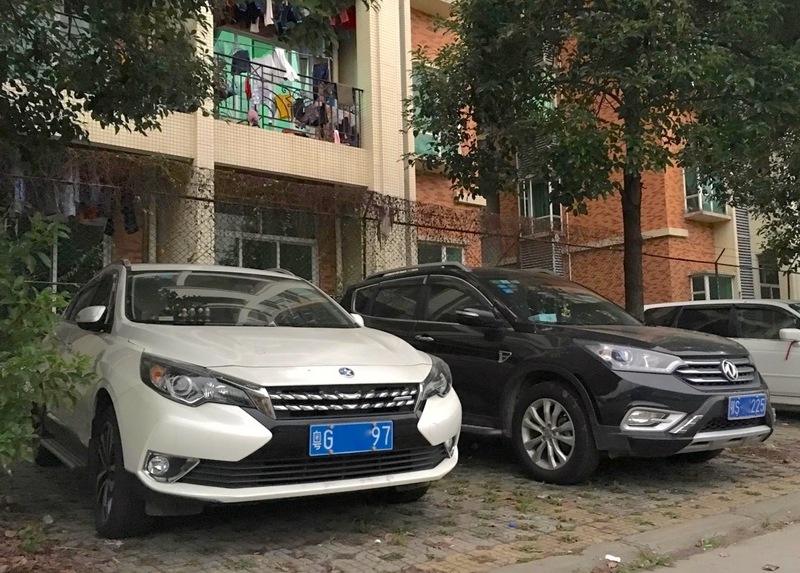 Seeing many Chinese MPVs was a surprise in itself but that the more upmarket 730 sells more in Guangzhou than the Hongguang could be a big city trait that reproduces elsewhere in China. 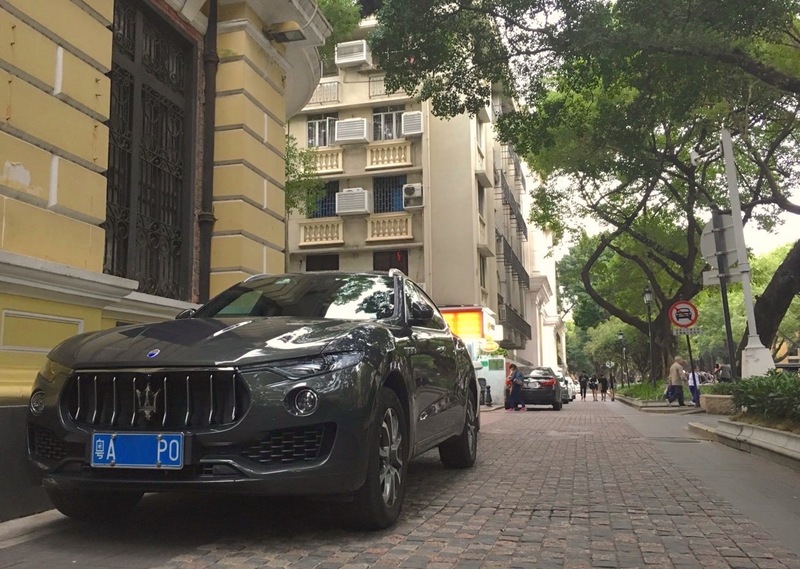 The 560 crossover is very well established, but it took me a few days and a trip to the suburbs to spot my first 510 (pictured above) – even though already 255.000 have been sold all across China. Overall I only saw two during my stay in Guangzhou. 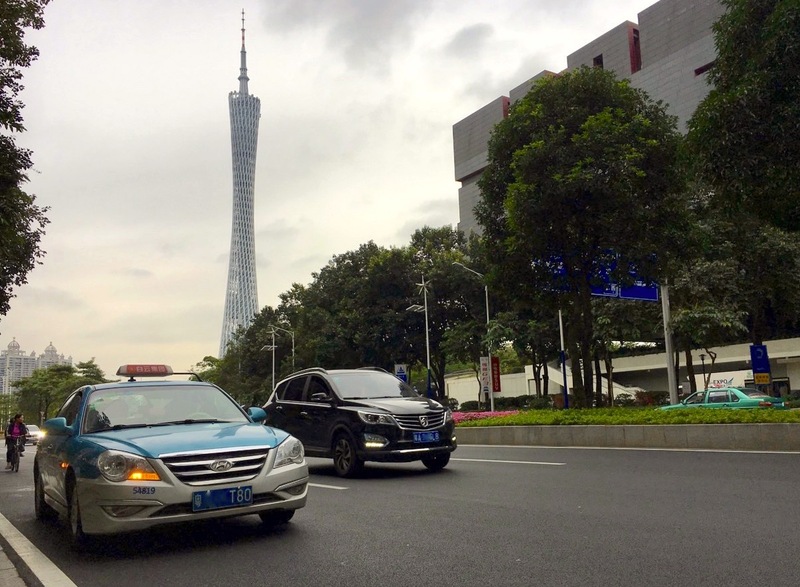 Possible interpretation: the 510 is mostly successful in second, third and fourth tier cities and the countryside, not so much in giant cities such as Guangzhou. 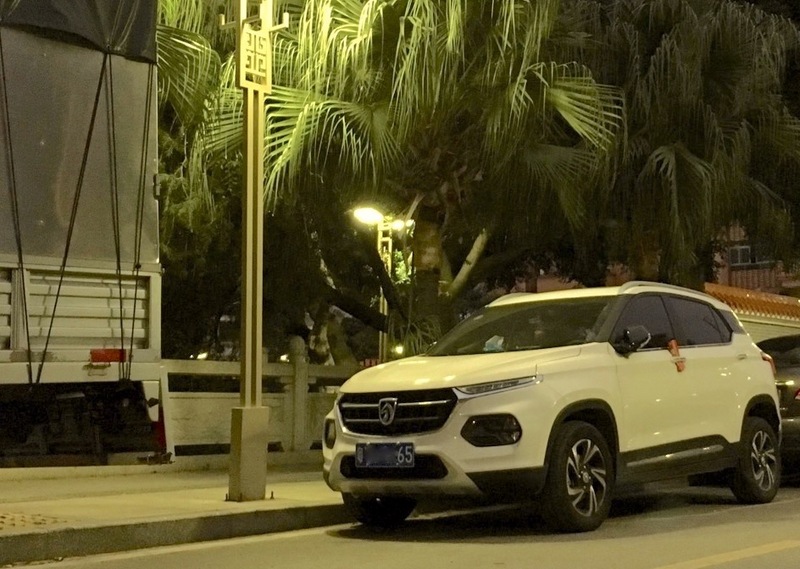 As far as Wuling is concerned, it’s not the Hongguang that’s the most frequent in Guangzhou but the Hongguang V, seen by the dozen here. 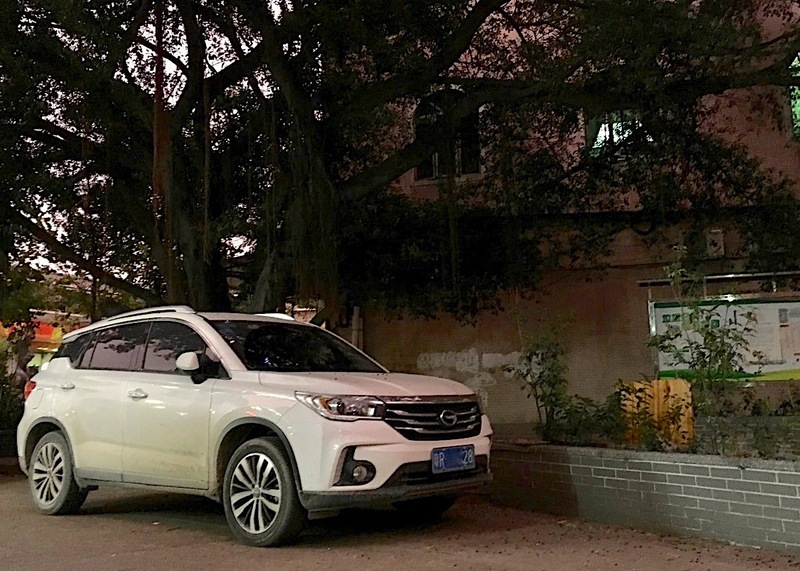 For now only available in a handful of cities such as Beijing, Shanghai and Guangzhou, Great Wall Motors’ WEY semi premium SUV brand has landed indeed: I spotted a couple during my stay here. 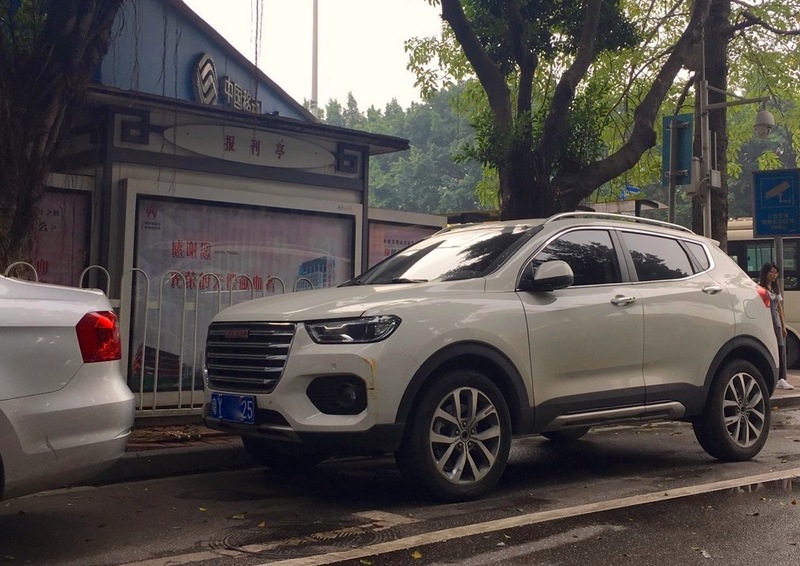 Haval is well established in Guangzhou, with new generations H6 and H2 already hitting the road. 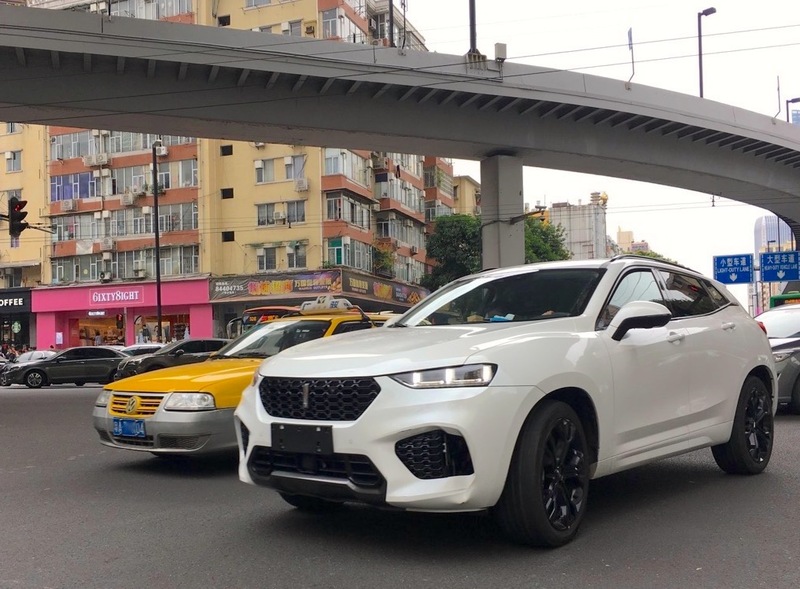 Another relatively popular Chinese brand in Guangzhou is Venucia, with quite a few T90 spotted. The Roewe RX5 must also be listed, and I spotted a single new Zotye T700 in Huangge. Honda nameplates that are popular in Guangzhou, apart from the Vezel, include the Fit, ranking much higher here than the 66th spot it holds nationally in 2017, the Crider (but much less strikingly than two years ago), the Accord, CR-V, Odyssey and the Vezel’s twin, the XR-V.
Nissan Lannia, Haval H6 Coupe, Toyota Levin and GAC Trumpchi GS4 in Huangge. 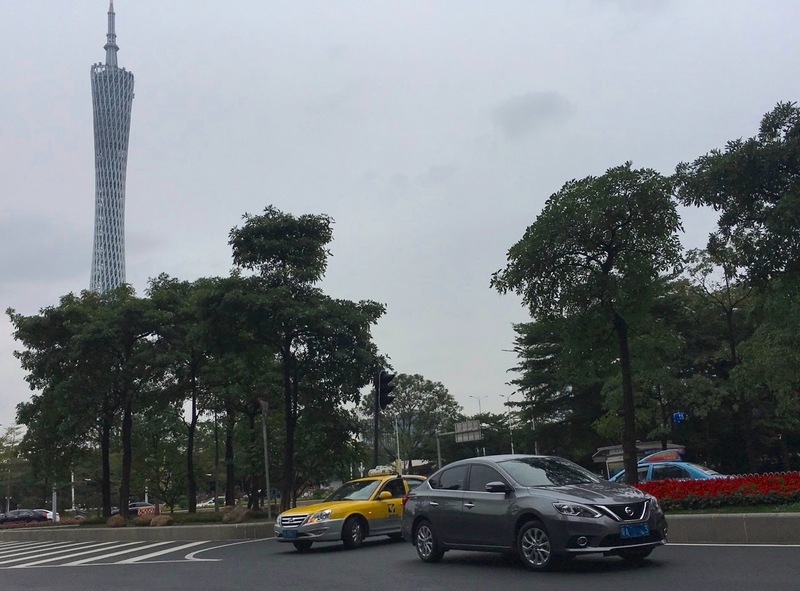 As far as Nissan is concerned, apart from the Sylphy the Lannia, Murano and Teana have also made their mark in Guangzhou. 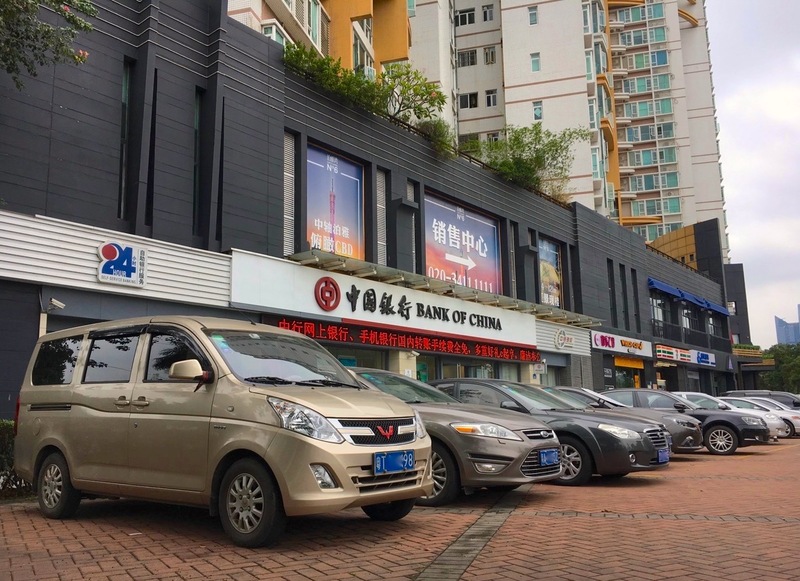 Logically, the Guangzhou-made Toyota Levin is more popular than the FAW Toyota Corolla, but not by much, both nameplates being extremely successful here. The Camry and Alphard also are. 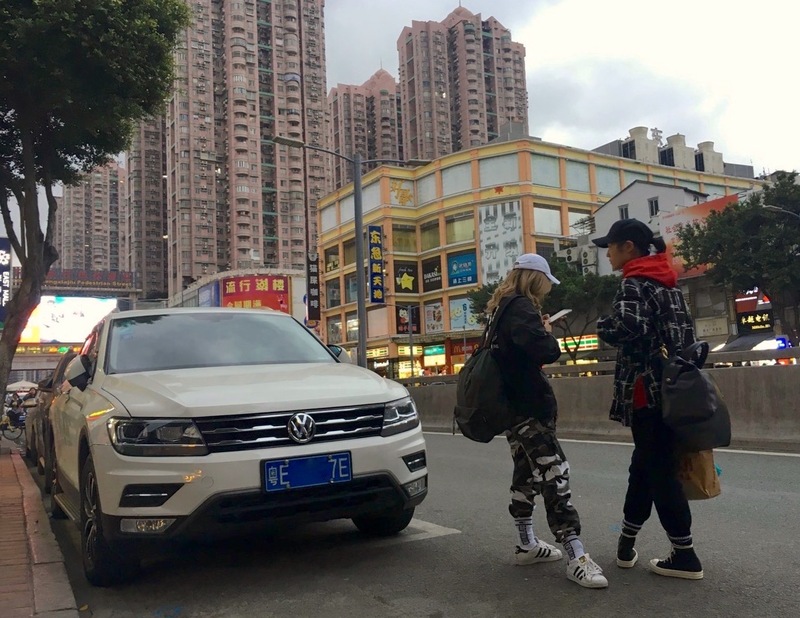 Volkswagen continues to struggle in Guangzhou, which must hurt their national figures quite significantly, given the Guangdong province is the most populated in the country. 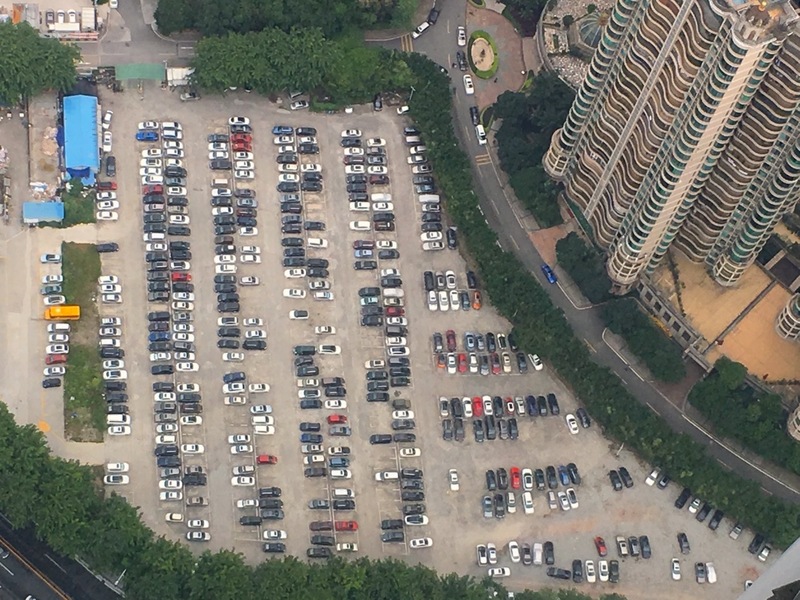 Similarly to Beijing and Shanghai, Guangzhou’s car park demonstrates its inhabitants’ wealth: I spotted three consecutive BMW 7 Series in the Zhujiang New Town, as well as numerous Porsches and two Maserati Levante metres from each other on Shamian Island. 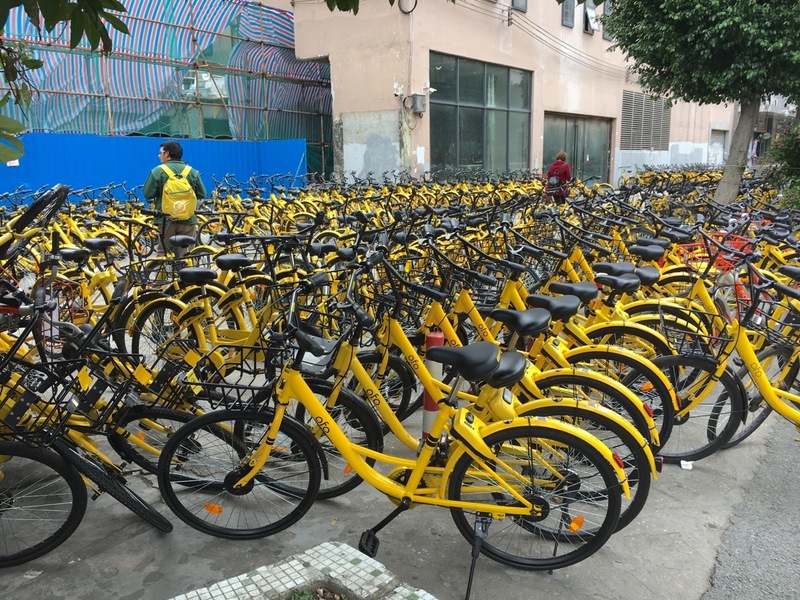 … and bike sharing programs such as oBike have flooded the city. That’s it for Guangzhou, our next meeting with China will be for the Beijing Auto Show in April 2018. Stay tuned!